We are living in times of great instability and crisis. Everywhere there are troubling signs of collapse: mass shootings; widespread unemployment; potentially irreversible ecological devastation; and the consolidation of wealth into fewer and fewer hands. The interpenetrating crises within the economic system, the ecological system, and the system of empire are pushing the 1% to implement massive austerity programs, militarization, and further disenfranchisement of oppressed communities. But not everything is gloom and doom. In the face of the ruling class’ savage attacks, heroic struggles are breaking out around the world against the manifestations of imperialism, capitalism, white supremacy, and patriarchy. While these crises have called the legitimacy of ruling class hegemony into question, it is by no means guaranteed that popular forces will succeed in rescuing the world from the tyranny of the 1%. We are living in a period in which, as Antonio Gramsci once observed, the old order is dying while the new phase is still struggling to be born. Even though the ruling class faces instability and internal strife, they are armed to the teeth and are committed to holding onto power at any cost. What happens in the next period of history will determine the future of the planet and humankind. 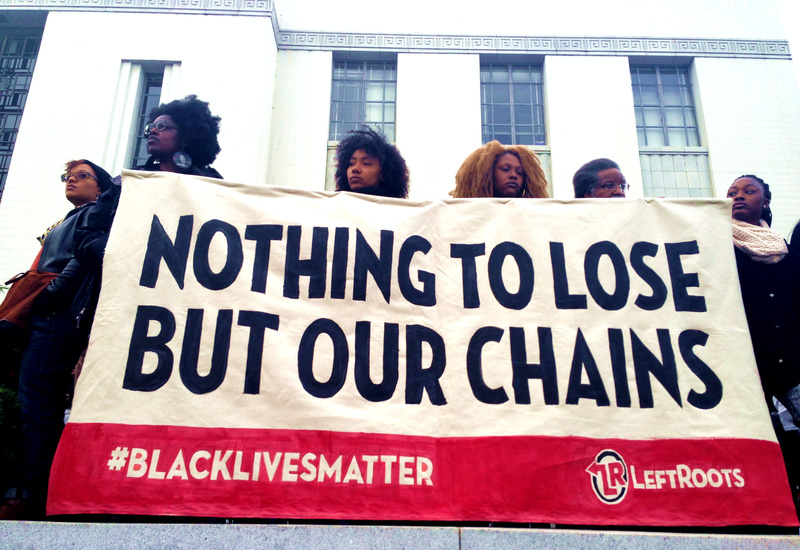 In response to the worsening conditions in our communities, and driven by a deep desire to change the systems that have made conditions so bad for our people, many social movement activists have taken up the work of organizing resistance. This work is critical. But it’s not enough. We need our fights to add up to something beyond resistance. So often activists in reform fights say, “I don’t think that we’ll ever achieve liberation, but I want to do what I can.” The problem with this attitude is that it closes us off to seeing and seizing opportunities to take unimagined leaps forward. After all, who would have dreamed in the beginning of 2011 that by the end of the year people across the country would be occupying public space denouncing the tyranny of the 1%? Or that fast food workers across the country would be walking off their jobs to demand a living wage? Or, that undocumented youth would be intentionally getting detained so they could organize resistance inside detention centers? Or that there would be a well organized national mass movement against police violence growing out of another police murder of a Black youth? Holding onto the hope that we could win, that we could radically transform society is difficult, but vital. That hope and audacity can change the way that we organize, fight, and build movements. The problem is that it is almost impossible to keep hope alive if we don’t have a plan to win. Strategy is one of the fundamental building blocks for all successful revolutionary movements. In revolutionary periods throughout history well-developed strategy has enabled organizers to cohere different sectors of society into a unified movement of movements that was able to defy the odds and transform society. Each of these strategies were as unique as the conditions from which they emerged, and the most successful evolved over time as those conditions changed. Identify key fights in which to concentrate forces. Historically, it has been Leftists from different resistance struggles that have come together to forge a broader strategy for liberation. Although Left forces in many parts of the world are taking bold steps to navigate the twists and turns of the current period with effective strategy, such a Left does not exist in the United States today. There are important Left organizations and formations in this country, but a coherent and audacious Left in the United States will have to be re-constituted if this role is to be fulfilled. Constantly searching for opportunities to expand popular protagonism and democratic participation — both inside Left organizations and society in general. This is a different kind of Left than the self-proclaimed vanguard model that was so prevalent in the 20th century. New types of Left formations are beginning to prosper in countries like Greece, South Africa, Venezuela, and Bolivia. These political instruments are helping to establish new models and new practices that we have a lot to learn from, despite our different context in the United States. Developing grounded strategy for liberation, and developing cadre capable of carrying out that strategy are two central tasks of a building a liberatory movement of movements in the United States today. History is not flat. It ebbs and flows like the tide. Recent events in Egypt are a prime example of this. After decades of isolated workers’ strikes and anti-police brutality organizing, a movement that mobilized millions of people erupted. In a matter of weeks, the people of Egypt deposed a U.S.-backed dictator who had been in power for decades. The tasks for revolutionaries change depending on the nature of the period in which they’re working. During ebbs, we engage in fights, build our forces, and prepare to advance. Most struggles during these periods take place within a political context that is not to our advantage. During flows, we advance. We surge forward. These periods of flow often correspond to structural crises and offer revolutionaries opportunities to gain ground and shift the terrain for future struggle. We believe we are in a period of flow in which crisis is likely to expand. Instability will become the norm. In response, the ruling class will likely exert their power through violence and intimidation more than through concessions and persuasion. This will lead to more action from both the Right wing as well as popular forces. Global instability will allow many nations outside of the First World to explore building alternatives outside of U.S. imperialism. This will be especially true in the Global South. These moments are when revolutionaries can begin to make possible what until recently seemed impossible. These moments hold untold challenges and opportunities. In order to advance, revolutionaries must be prepared. History suggests that progressive advance will require a strong and skilled Left. In order to help meet that need we have begun building LeftRoots, a national formation of Left social movement organizers and activists who want to connect grassroots struggles to a strategy to win liberation for all people and the planet. Build popular organizations. Mass organizations are the basic building block of all revolutionary movements. These organizational forms allow people to rebuild community; to make connections between their own struggles, the struggles of their neighbors, and their connections to the system; and they allow people to take collective action. Too often, these organizations have been seen as conveyor belts feeding information and resources to more strategic parts of the movement. We believe that these organizations must be vital participants in any liberation movement. Popular organizations generate energy, innovation, and wisdom that must be respected and supported. Wage counter-hegemonic fights. As the crisis continues to deepen, people will rise up and take action, calling for change. In different places these actions will have different demands. It is the responsibility of a renewed Left to support and strengthen those fights, but Leftists need to be mindful of not falling into the pitfalls of populism. The next Left must seek to make what seems impossible now possible in the future. This Left must offer analysis, suggestions, and material support with the aim of deepening those fights where possible to undermine ruling class hegemony and to nurture a liberatory hegemony. Build alternatives. In addition to participating in and supporting popular struggles, a renewed Left must engage in and support efforts to build alternative institutions and practices that could help serve as some of the building blocks of a post-capitalist society. In all of these activities we must work democratically, showing respect, accountability, tolerance, and love for the people and the planet. Engage in the Battle of Ideas. A renewed Left must ground itself in a vision of a free society. We call this vision 21st Century Socialism in an effort to signal the need to break from capitalism and to avoid repeating the errors of the 20th century socialist experiments. This vision will inform the development of a clear strategy of how to get there. The Left must also engage in the Battle of Ideas. We must present our vision of a free society in ways that connect with people’s very real frustrations with capitalist society and their ambitions for a better future. Along with the frontline struggles and alternative institutions, this work will lay the basis for a new common sense. Forge a revolutionary social bloc. Any successful effort to challenge and build alternatives to the capitalist, racist, and sexist world order will involve millions of people around the world. The strategic alliance between the working class and communities of color form the two wings of the bloc that can lead a successful challenge to the ruling class in the United States. Building democratic organizations rooted in working class communities of color provides the greatest guarantee that the interests of these sectors is at the center of the perspectives, programs, and demands of the movement. Because their interests demand an end to the tyranny of patriarchy, white supremacy, capitalism, and imperialism, building organizations rooted in these sectors is of strategic importance. However, the Left’s attention cannot focus on these sectors exclusively. The Left must cultivate a vision, organizational fronts, and demands that forge a new identity, a new social bloc that sees its interests as being served best by an alternative to the existing tyranny of the 1%. Winning over and engaging other sectors of society — without betraying the interests of the most exploited and oppressed sectors both here in the U.S. and around the world — is one of the central strategic tasks of a renewed Left. Connect with struggles around the globe. Any liberatory movement based in the United States must recognize the imperial privilege that this country has and continues to profit from. Justice and liberation cannot be achieved at the expense of the global community. International solidarity and global equity must be a driving principle of any liberation movement. The next Left will look to build connections to social movements around the world and to link our local struggles to the efforts of other activists struggling on different terrain towards our common objectives. Renew our movement culture. To make such a revolutionary project possible, we need a renewed Left culture based on respect for political and ideological pluralism. This is deeply connected to the dialectical process of breaking from the alienation so pervasive in the capitalist system. As we struggle to transform society, we must also struggle to transform ourselves. This will happen through conscious work at individual and collective levels, just as it will happen through collective struggles for human solidarity as we recover parts of ourselves that have been long atrophied in an environment of consumerism and individualism. Build democratic participation and revolutionary protagonism. The capitalist democracy promoted by the U.S. empire is a hallow perversion. Democratic protagonism rejects the idea that democracy is simply about one magical moment of decision-making. Through our exposure to systems, we all learn and develop particular skills and attitudes. Social relations under capitalism undermine and diminish our capacities. On the other hand, participatory democracy takes into account all of the steps leading up to the making of the decision, thereby promoting people to be protagonists, the makers of history. As Karl Marx noted, the key to revolutionary practice is not simply being in a different circumstance, but also in helping to make that changed situation. The Next Left must take up different practices and procedures to develop everyone’s capacities so that we can all play leading roles in shaping the decisions, workplaces, communities, and world in which we live. Deepen our capacity to respond to ruptures. The first years of this decade have witnessed an unprecedented level of ecological catastrophe, social upheaval and popular mobilization. Much of this action is a direct response to social, economic, and political contradictions and the ruling class’ self-serving attempts to manage those contradictions — since it is not in their interests to fully resolve the contradictions. As long as these social, economic, and ecological contradictions continue to grow, more upsurges and mobilizations are likely to occur. The task for a renewed and reinvigorated Left will be to support and offer facilitative leadership in the midst those reactions. Individual Leftists acting independently cannot accomplish this task. Nimble and coherent, collective action of Leftists multiplies and amplifies the impact of social movements and of the Left so that crisis can be transformed into opportunity. The opportunity to begin making real our vision of a more just, equal, sustainable, and protagonistic world. While this outline marks a particular approach to building a liberatory movement, we recognize that it is just an outline. It is not a strategy. Within this outline, there are a lot of unanswered questions: what is the class structure of U.S. society? Which classes and social groups have the power and potential to lead and participate in a historic bloc for liberatory transformation? What regions are most have the most potential to advance the struggle? What might be the role of rural-urban alliances in a liberation movement? How does the re-emergence of the racist right, the expanding role of state-sponsored infiltration and criminalization impact movement building efforts? Given the financial crises impacting state and local governments, what campaigns and targets give us the best possibility to advance? The list goes on. Ultimately, more research and analysis will be necessary in order to ground our analysis in the real conditions and class structure of the U.S. empire, and we believe that by doing this work, we will be able to make this outline a strategic tool with goals, objectives, and criteria that can help strengthen the struggle for a free society. LeftRoots is not acting alone to achieve these objectives. We are both a project and an organization. As a project, LeftRoots aims to work with others to help nurture the re-emergence of an ideologically sharp, tactically adept, and strategically clear Left that can help spark and be of service to massive social movements confronting and building alternatives to imperialism, capitalism, white supremacy and patriarchy. As an organization, LeftRoots is a political home for a grouping of social movement Leftists that we consider to be key to the re-emergence of the Next left in the United States. As we’ve discussed, any successful revolutionary movement will involve conscious and organized Left forces. It is equally important that the Left include the participation and leadership of those from the very social sectors that make up the leading forces in the liberation struggle: working class people, people of color, women, queer, gender queer, and young people. Clearly, this is not what the self-identified Left looks like right now. For the Left to be successful will require a radical shift in who sees themselves as a part of it. Though we are far from this reimagined Left, there are hundreds of Leftists out there, many of us playing key roles in social movements rooted in the popular sectors, that will play a central role if the U.S. Left is to expand its power and influence. These Leftists who are deeply engaged in social movements must play a leading role in renewing and reshaping the Left in the United States. This will not be easy since social movement and base organizing work are relentless and can be all-consuming, but it’s necessary. Leftists in social movements are uniquely positioned to bring together the lessons and experiences from various frontline struggles to expand on old ideas and practices and innovate new ones. Many do not see the revolutionary potential of the social movement Left. We are like bees of the movement world. Many flight experts don’t understand how bees actually fly. According to their calculations, their wings are too small to be able to carry their relatively large bodies. Undeterred by the naysayers, bees fly around and play a critical role in supporting the ecosystem. Bees cross-pollenate. They carry pollen in the same way that social movement Leftists so often cross over the silos that constrain our movement work, bringing information and lessons from one movement to another. Bees are social creatures. They draw their strength from acting in cooperation with the other bees in their colony. One of the most dangerous impacts of the increased use of pesticides is that many of those chemicals are drugging bees to such an extent that they are not able to find their way back to their hives. Isolated and separated from their homes, bees are dying off in alarming numbers. Due to many different reasons including the impacts of COINTELPRO, the neoliberal assault and the weakening of the global left, social movement Leftists in the United States have been trying to figure out answers on our own, hoping our efforts would add up to something more. But isolated and unable to collectivize our power and impact, we have come up against the limitations of nonprofits and the trade union movement. LeftRoots is building a political home for social movement Leftists in the United States to come together to build a collective identity and to develop transformational strategy that can help unleash the power of the people. This, we hope will contribute to sharpening the Left edge of social movements and reinvigorating the Left in general. Footnote: ‘Protagonism’ is a term that we first came across in the work of Marta Harnecker who noted its usage amongst social movement activists throughout Latin America. We have adopted the use of the term within LeftRoots even though there is no direct translation in English because, like no other term we’ve come across, ‘protagonism’ names an approach that has the potential to strengthen social movements inside the United States. The concept builds from the literary term ‘protagonist’ which refers to a character who takes ownership over her destiny and drives the narrative forward by taking action. In a similar vein, we understand protagonism to be the democratic engagement which builds our individual and collective capacities for transformative change and, in doing so, combats our fundamental alienation from the means of production, from the products of our labor, from each other, and from ourselves. I really appreciate your perspective in Toward a Transformational Strategy. It addresses a lot of important questions about engaging the many forces embracing large segments of the masses, particularly the most oppressed in mobilizing collective power contending and transformative power against the capitalist system and imperialist state. The fact that it focuses on mobilizing the masses in the millions for social revolution, including developing transformative institutions that begin to prefigure aspects of the capitalist alternative being defined as 12st Century Socialism , is very important in developing a wider understanding of a major aspect of the revolutionary conditions in the subjective factor that presses for more consolidation of the revolutionary forces that ideological struggle along has not brought about. How the imperialist state is restrained, weakened and dismantled as core to social revolution has to been unclear and an area of division among the left on how to engage in political struggle within and against the state. As a member and coordinator of the BLUN, a loose but consistent network process trying to forge Black left unity to rebuild the national Black liberation movement led by the Black working-class as a critical social force of the revolutionary strategy necessary for challenging and defeating capitalism and the state, we want to encourage Left Roots to promote and engage in the discussion of the BLUN Draft Manifesto. Strong props for your work and clarity on a strategic vision. Unity will be a process that will have many initiatives and we will all be challenged to be bold in our efforts and yet also be open to compromise and struggle practicing unity-struggle-unity. And we have a draft manifesto that is quite compatible with your statement. I look forward to hearing next steps in building unity and how we can gatrher to discuss our strategy for the future. Be strong and keep up the good work! It is refreshing to see the Ideas put forth by LeftRoots in working to create a Transformational Strategy that sees as an important core base, the the strategic alliance between the working class and communities of color. A new generation of social movement activist has emerged and connecting them to a re-imagined left is an important transformative struggle. I’m in support of your ideas that A democratic process that’s inclusive of broad leadership representation of social movement forces engaged in struggles on the ground will strengthen a left core in this country needed in forging a successful revolutionary movement. As Saladin Muhammad pointed out the Black Left Unity Network has been working to build Black Left Unity to rebuild the national Black Liberation Movement and are looking at trying to answer similar questions. We need to take up this opportunity to dialogue about how we move forward together around our ideas and practice to forge the radical shift that’s needed for transformative change of a re-imagined left. peace had been denied and protest should continue until justice and peace are achieved. Justice and peace are being defined in the context of protest. Ideological, political, and organizational unity can be forged in the process of marching. Clarity and unity are not easily won but the sixties taught us to begin with a desire to unite,be critical and self critical, transform ourselves into a new unity. The Struggle Continues. I salute you. Greetings to Steve Williams, who I knew “back in the day” in Philly. I appreciate your essay that identifies nine important tasks that need to be carried out in order to create a confident and influential left presence in the U.S. Probably like other readers, I would add a few more, but there is no need for completeness — your contribution is to state what seems especially important to you and describe the tasks so briefly and clearly. As an organizer and trainer I’m always looking for ways to support activists to hold important content in a way that makes the implications do-able. In the discouraged state that many American activists are in, a list of nine points each of which seems to demand “Do this now” can be simply overwhelming. In working with a group of young activist leaders recently I realized that your nine points can be made more actionable by putting them into the sequence suggested by my strategic model that goes by the name of “Living Revolution.” The sequence is developmental, taking into account that the revolutionary left in the U.S. is small and needs considerable development to move through stages that bring it to mass action with revolutionary goals. The first three stages of the five-stage Living Revolution framework are relatively small, at least on the first iteration, but the three stages cycle, growing larger each time until breaking out into mass struggle (the fourth stage). The interesting thing about the model in terms of your nine tasks is that your nine become more feasible when connected to an organic development. But you be the judge. I’ll show what I mean instead of talking about it. In STAGE ONE — Cultural Preparation/Conscientization — your 4th, 6th, 7th and 8th points get focused attention: the left engages in the battle of ideas, relates to struggles around the globe, renews movement culture and builds democratic participation and protagonism. Making real progress on these tasks seems important to move to a robust SECOND STAGE, Movement Development/Organization Building. That’s because organizations that are built by minds still trapped in pre-revolutionary consciousness will be organizational shells, unable to carry on their own work of, as you say, building popular organizations (your task #1), building alternatives (#3), and even empowering individuals with the sense of agency that you describe as protagonism(#8). This third stage of the Living Revolution model has the potential of leading to Mass Political and Economic Noncooperation (STAGE FOUR), because bystanders whose interests would be served by social change are moved into action by the drama and courage shown in open struggle. What until Stage Four has been a small movement has the chance to become, quite rapidly, a mass movement and even a movement of movements if history supports such motion and a confident Left plays its part in facilitating it. Even though seeds need to be sown in the second stage (Organization Building) through networking, and grown through the third stage of Confrontation through skill-sharing and mutual aid, it is really in STAGE FOUR, Mass Noncooperation, that a revolutionary bloc can emerge in strength. The U.S. is a highly diverse country in multiple ways including geographical regions. The cycle of movement development offered in the Living Revolution model might therefore advance into stage four and be interrupted there, not succeeding in opening the power vacuum needed to proceed to STAGE FIVE (Parallel Institutions carrying out the essential functions formerly carried out by oppressive institutions commanded by the ruling class). In that case the model implies that the movement reiterates previous developmental stages (one through four), this time incorporating sectors and regions “left out” previously and also learn from strategic and tactical mistakes made on the first iteration of the first four stages. There are multiple examples in history of “defeated” movements, licking their wounds and reflecting on what happened, coming back again and winning. One of the tasks the Left Roots essay points up is to deepen our capacity to respond to ruptures. STAGE FOUR (Mass Noncooperation) is by nature a chaotic time, made more so by state repression aided by volunteers on the Right such as militias. The state might, as happened in Poland during Solidarity’s final iteration of Stage Four, itself noncooperate! In Poland the state went on strike regarding essential functions it was used to performing. I’ve done my best to connect briefly a book-length revolutionary model to your nine points because I’m showing my respect both for your thinking and also for mine (the book was first published in 1973 and is still in print in a new edition called “Toward a Living Revolution”). Hope it’s helpful in your strategic thinking, since strategy is, among other things, the art of sequencing in such a way that tomorrow’s work builds on today’s.